Among this collection of 13 incredibly useful Websites, you'll find treasure troves of music and audio, plus online photo and video tools. And if you have a lot of media items or other files that you want to share with family, colleagues, or friends, we've spotlighted several Web services that can help. 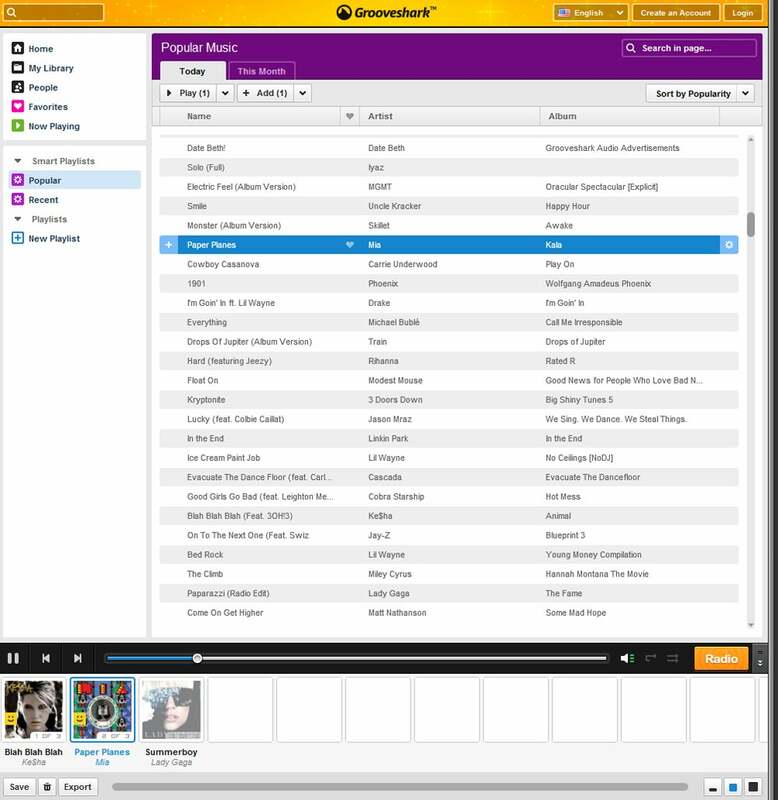 Grooveshark offers music from all genres and has extensive sharing and playlist features. We've had some heated debates over which music site reigns supreme. Though we love Lala, Pandora, and Slacker, Grooveshark rises to the top of the heap for its slick interface, robust-yet-unobtrusive social features, and excellent smartphone integration. Whether you're promoting your band's latest gig, hosting a community crab feed, or just looking for something to do tomorrow night, Eventful's location-based listings of concerts, clubs, movies, and events make it easy to find your scene. Sure, your smartphone can make a ringtone out of any song in your music library, but will it jump to your favorite line? Nope. CutMP3 lets you upload any song to its music editor and then trim it down to the portion you want for your ringtone. Once you've picked your clip, just save the track to your phone and set it as your ringer. Easy-peasy, and totally free. 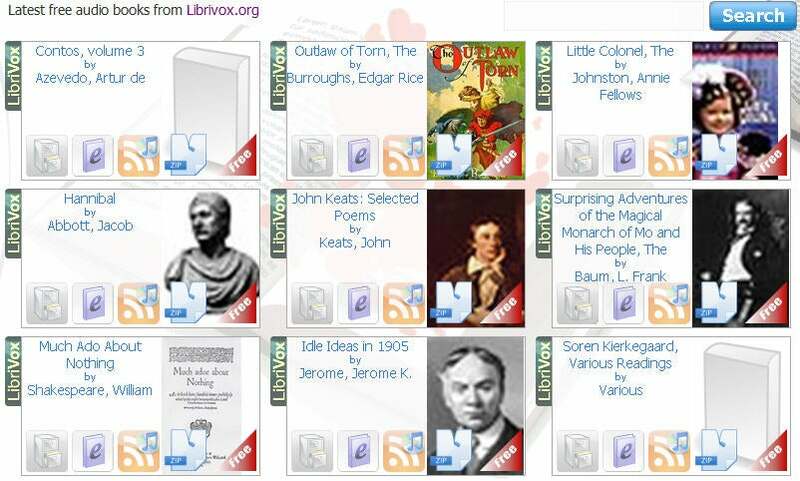 Librophile.com gives you access to a huge collection of free audiobooks. Free e-books are now abundantly available, but audiobook lovers typically pay top dollar for readings of their favorite works. Librophile.com offers a massive library of free audiobooks, ranging from classics to sci-fi to fairly recent fiction. Citrify's straightforward image-editing tools let you make tweaks and add effects to your photos, quickly. We can't all be brilliant photographers, but with the right tools we can look as if we know what we're doing. For robust online photo editing, it's pretty hard to beat the power of Photoshop.com. However, if you want to pop open a picture quickly and make changes without having to sign up for an account, check out Citrify. 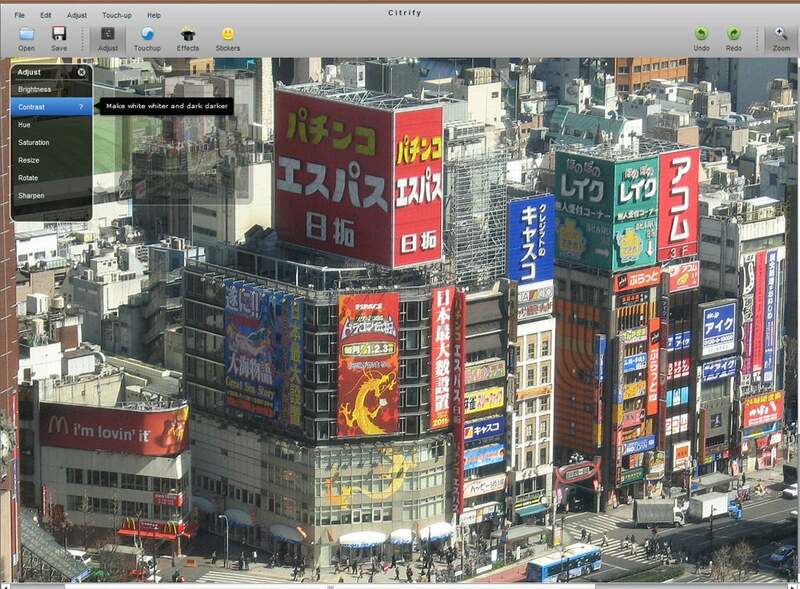 Citrify's free, no-hassle photo editor lets you upload an image and start editing immediately. Add cool effects, captions, and adjust your colors, and then click ‘Save' to put the finished product back on your PC's hard drive. Once your video is uploaded, you can use Pixorial's simple online editor to assemble your footage in a storyboard and to merge clips together. You then add some transitions and titles, and choose how you'd like to share the result; you can download the movie as a high-res or low-res file, post it to a social network, or order it on DVD. You upload your images and video clips, and then upload music or choose from the site's fairly limited selection of songs. Give your slideshow a title, and a few minutes later you'll receive an e-mail telling you the show is ready to view. You can share your video on social networks, e-mail the link to your contacts, embed it on a blog, or send it to YouTube. For $5, you can upgrade it to a high-res MP4 that you can take anywhere, or burn it to a DVD. Animoto's free slideshows are limited to 30 seconds, but for $3 per slideshow you can create a full-length video worthy of showing at a family gathering, a wedding, or a business conference.